This post is the first in a series exploring the National Library of Medicine’s rich and varied collection of “herbals,” which are books devoted to the description of medicinal plants (and sometimes other natural substances) with instructions on how to use them to treat illness. The Library’s herbals are some of the most beautifully illustrated books in the collection, and many contain information that has not yet been investigated using modern scientific methods. 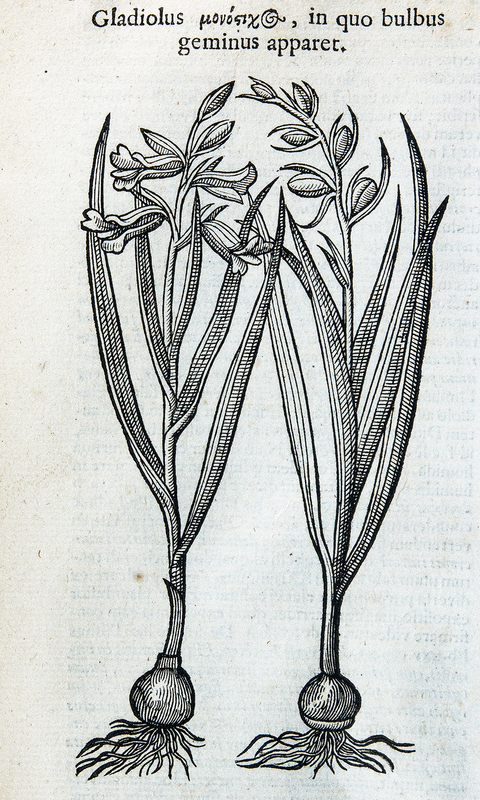 “Gladiolus,” Theophrastus, De Historia Plantarum (Amsterdam: Hendrick Laurensz, 1644). In the West, the oldest recorded references to medicinal plants are in the fifth-century Greek Hippocratic Corpus, which contains numerous herbal remedies, however, none of the many tracts in the Corpus focuses on plants themselves by giving descriptions of their appearance, where they might be found, or what names they are known by in different locales. One of the first Classical Greek herbals that has survived and been passed down to us is Historia Plantarum (Περὶ φυτῶν ἱστορία in Greek) by Theophrastus (ca. 371–ca. 287 B.C.E. ), a noted philosopher who succeeded his mentor Aristotle as the head of the Lyceum, the center of the Peripatetic School in Athens. Only nine of the ten books of the Historia Plantarum have survived; the first eight books describe the various plants found in the Eastern Mediterranean and the ninth book describes their medicinal uses. NLM holds numerous early printed editions of this book, including an unusual one published in France in 1505 which is a counterfeit (an unauthorized printing, meant to deceive) of an edition printed in 1504 by noted Venetian printer Aldus Manutius. Theophrastus, De Historia Plantarum (Amsterdam: Hendrick Laurensz, 1644). “Theophrastus and Dioscorides,” Elizabeth Blackwell, A Curious Herbal (London: Samuel Harding, 1737-1739). Dioscorides, De Medicinali Materia (Paris: Henri Estienne, 1516). But the real blockbuster of ancient herbals was written by Greek physician Dioscorides of Anazarba, in what is now Turkey, in the first century. His De Materia Medica (Περι ύλης ίατρικης), written in Greek between about 50 and 70 C.E., describes about five hundred plants. His arrangement of the plants is not very systematic, but for each entry he states the plant’s name and its synonyms in a few other languages, then a short description of the plant and where it can be found, and finally a description of how the plant can be prepared to create a remedy. This herbal was likely illustrated, and some early manuscripts of the text survive with hand-drawn illustrations from the sixth and seventh centuries. The work was extremely popular in Latin translation (which we will discuss in a later post), and in its original Greek once it was first printed in Venice in 1499 by Aldus Manutius. The Library holds over 100 editions of Dioscorides in half a dozen languages printed between the 15th and 18th centuries, some of them with beautiful woodcut illustrations. Illuminated initial and coat of arms of an early owner of this book. Pliny the Elder, Historia Naturalis (Parma: Stephanus Corallus, 1476). Another important early herbal is that of Pliny the Elder (C.E. 23–August 25, C.E. 79), whose Naturalis Historia (Natural History) is an encyclopedia covering natural phenomena of all sorts including geography, astronomy, and biology. Books 12 through 29 covers plants along with their medicinal uses. Because it was originally written in Latin, it was directly accessible to many medieval scholars, and it was printed frequently in the 15th century until it was attacked in 1492 by Renaissance scholar Niccolò Leoniceno (1428–1524) in his De Plinii et Aliorum in Medicina Erroribus (On the Medical Errors of Pliny and Others) for being unscientific in its approach. 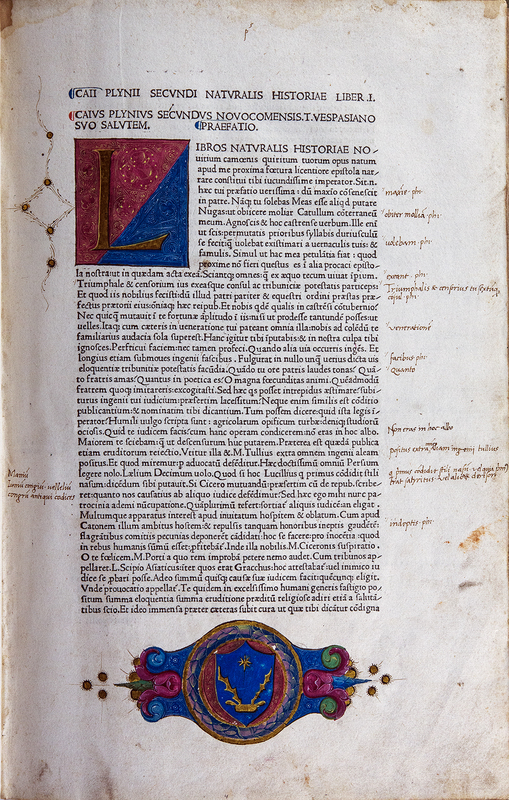 Some of NLM’s oldest printed books are early editions of Pliny’s Naturalis Historia, including a beautiful edition printed in Parma in 1476 by Stephanus Corallus, the second printer in Parma, Italy, and an early Italian translation printed in Venice in the same year by Nicolas Jenson, one of that city’s first printers. This article is the first in a series about NLM’s large and varied collection of herbals dating from the Middle Ages to the 20th century. To learn more about them, please feel free to contact me at northm@mail.nih.gov. Michael J. 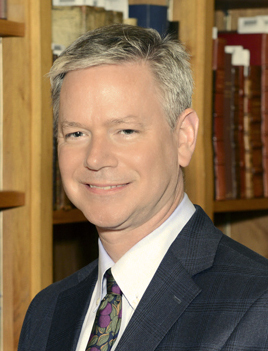 North is the Head of Rare Books and Early Manuscripts in the History of Medicine Division at the National Library of Medicine. Previous Post: Ready… Set… CLICK! Great article. The larger categories in DIoscorides are, as you know, by “type of plant.” But John Riddle has shown that DIoscorides’ Herbal is organized within this greater frame, plant by plant, by pharmacological constitutents —this by pure experience or intuition, since the pharmacology of plants was not known until two thousand years later.